I faced an issue to create an eDM design on Outlook. 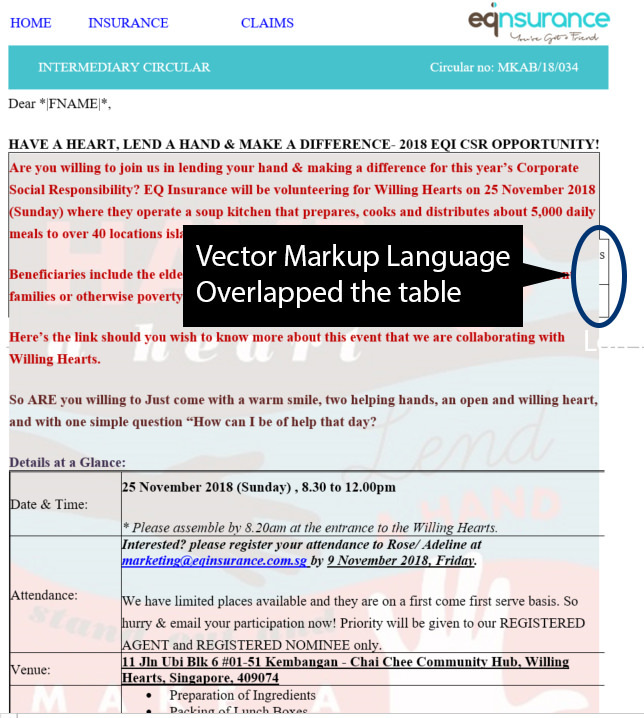 I used Vector Markup Language to create a background-image to it can be rendered by Outlook. The output show the expected outcome but it overlap another table below the table. Outlook does not support border-radius (see https://www.campaignmonitor.com/css/box-model/border-radius/). Are you able to supply us with your VML?